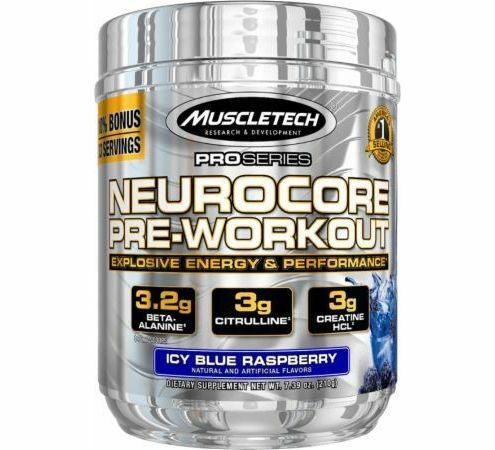 NEUROCORE PRE-WORKOUT is the most explosive, super concentrated pre-workout formula available on the market. 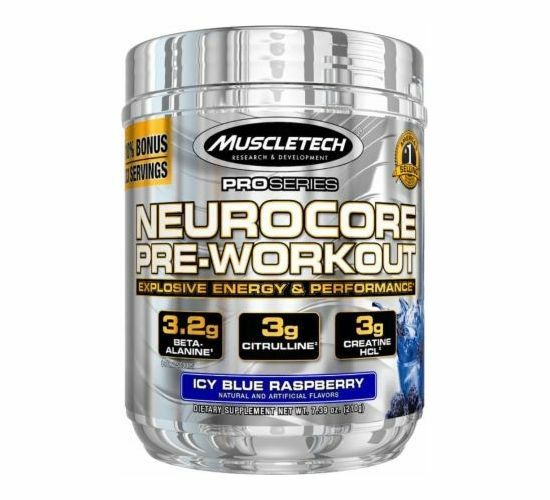 Unlike the other products, NEUROCORE features potent key ingredients in scientifically studied doses, for maximum strength, ultimate energy, intense focus and powerful workouts. Beta-Alanine: Each dose of NEUROCORE (2 scoops) contain 3.2 grams of beta-alanine, a key ingredient that can help you train longer and harder while also delaying muscle fatigue. L-Citrulline: This amino acid can offer intense and long lasting muscle pumps during physical training by amplifying nitric oxide (NO) production. Creatine HCL: Creatine hydrochloride can amplify gains in strength, power, endurance and muscle mass. It does not require loading phase and it is absolutely tolerable -which means that it does not cause any bloating. Rhodiola Extract: Rhodiola rosea extract is a plant extract that acts as an adaptogen which can improve mental and physical fitness during stressful activities (e.g. during training). NEUROCORE's action starts almost immediately after ingestion, which means that you'll feel strong and energetic from the very first minutes of your training course. Consume 30 to 45 minutes before activity. We strongly recommend that you assess your tolerance first by using 1 scoop mixed with 6 oz. of water, especially if you are sensitive to stimulants. For full effects, mix 2 scoops with 12 oz. of water once your tolerance has been assessed. Do not exceed 2 scoops in a 24-hour period. Maintain an adequate state of hydration during use. Read the entire label before use and follow directions provided.